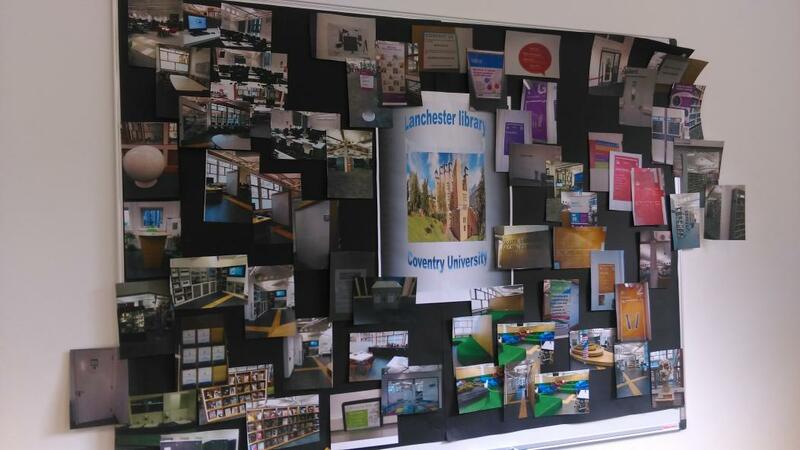 In January my colleague and myself welcomed the opportunity to attend the Library Space and Building Design Merician Staff Development training at the Lanchester Library (18th Jan 2017, University of Coventry). Although we had recently undertaken a refurbishment at Nottingham Trent University (Clifton Campus), we were eager to visit the Lanchester Library, to compare and contrast the experiences of colleagues who had undertaken the task of a refurbishment in another University. We received a warm welcome from Kirsty Kift, Assistant Director, who gave a detailed account of the refurbishment Kirsty had managed with the added complication of a tight window for completion. The following will take you to Kirsty’s presentation, titled They never taught me that at Library School. Two more informative presentations followed from Tom Doling and Hannah Thomas from Associated Architects, and Chris Porter and David Crozier from Newman Birmingham. Among the lessons learned was that students will not use the space as you planned, and further adaptations will be needed; for example, one chair per desk may have been planned but if students work in groups additional chairs will be required. We then toured the library, and were particularly interested in the permanent display area and the use of space on the floor with the Disruptive Media Lab. The Tour gave us an opportunity to take many photographs, which we later shared with our colleagues back at NTU on temporary display. Lunch followed giving an opportunity to network with staff from other Universities sharing our experiences, which is always a welcomed part of these events. We found this visit extremely useful not least for the information, that you are better off using Pickfords rather than an experienced library removal firm. It is always good to see a variation on the same theme and that in this ever-changing environment there are other innovative ways to use library space.